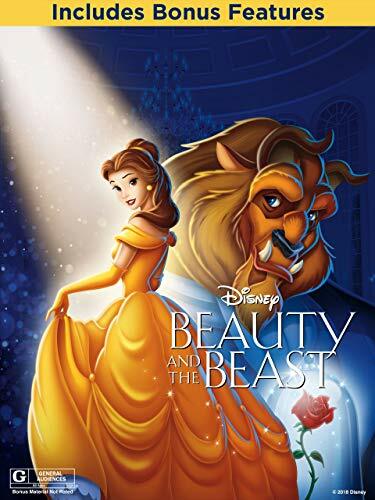 The animated version of Beauty and the Beast came out in 1991, just as I was about to enter high school. 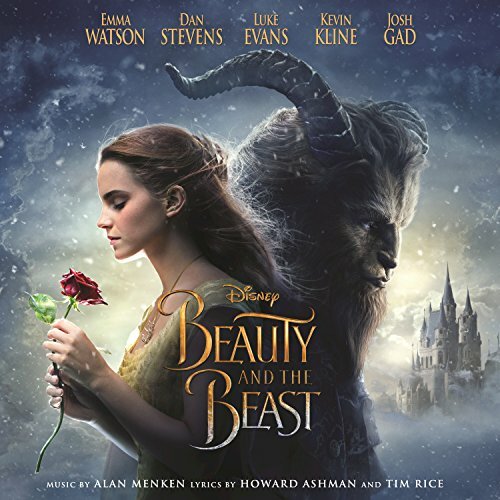 As a musical person, it quickly rose to my absolute favorite movie. I would watch it over and over and when I couldn’t watch it, I put on the soundtrack and listened for hours. I think after the first week my entire family was ready to kill me. But they survived. And now, as a parent, I know how they felt. My kids listen to their favorite songs and soundtracks on repeat for what seems like years! 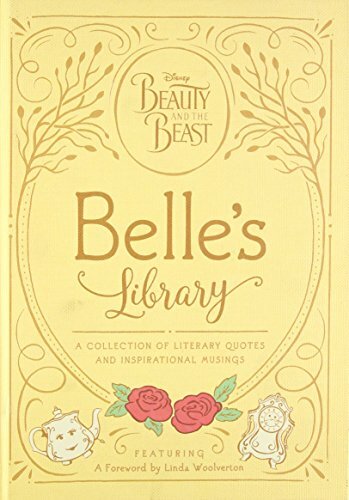 That being said, I was beyond excited when they brought back the animated version of Beauty and the Beast just so I could purchase it for my own kids. And I was even more thrilled when they loved it just as much as I do! 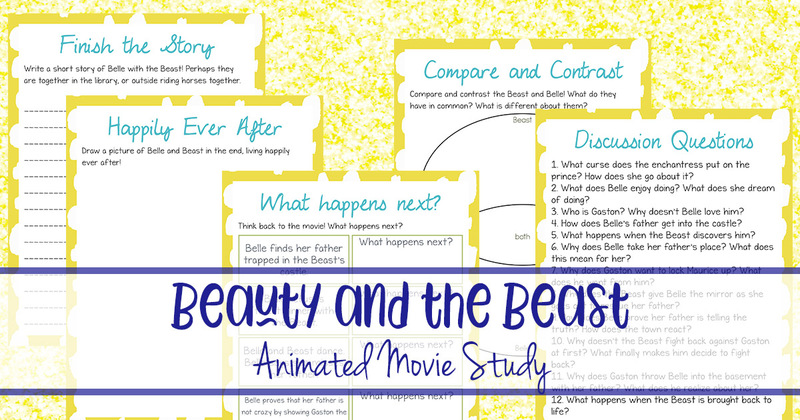 And since I am all about bringing learning in to their favorites, I had to have a Beauty and the Beast Movie Study! This is the perfect addition to our movie studies here on the site. 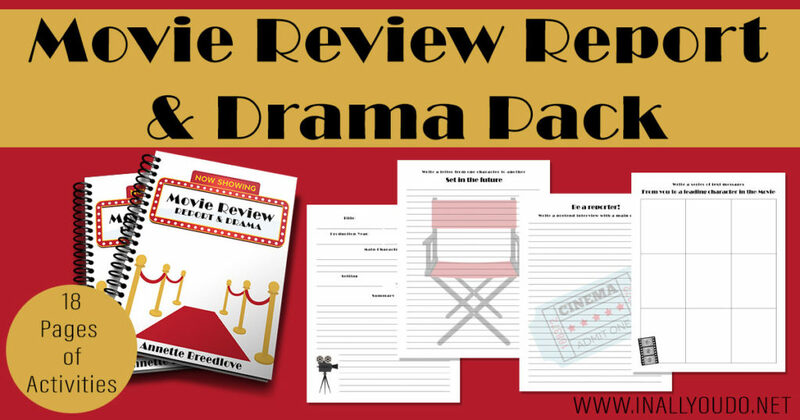 It will also be a fun addition to any movie day or as part of a watch party. Be sure to check out some of the delicious snacks I found below to complete the experience! 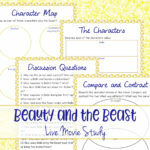 This Beauty and the Beast Movie Study includes 5 pages of activities related to the animated movie. 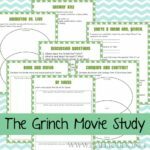 These activities are perfect for elementary kids, but could be a great starting point for older kids as they work on an essay or project on the movie/story. Discussion Questions are a great way to help kids work on their comprehension skills. Have children watch the movie first for fun and try to answer the questions. If they have trouble, they can re-watch the movie, this time really paying attention and listening for the answers! The discussion questions are perfect for kids of all ages. You can ask them in a group format or give each child a copy of the questions and have them write out their answers on their own paper . Giving them their own paper sneaks in a little handwriting and spelling practice too! I love doing compare and contrast pages with my kids, especially with a zen diagram. 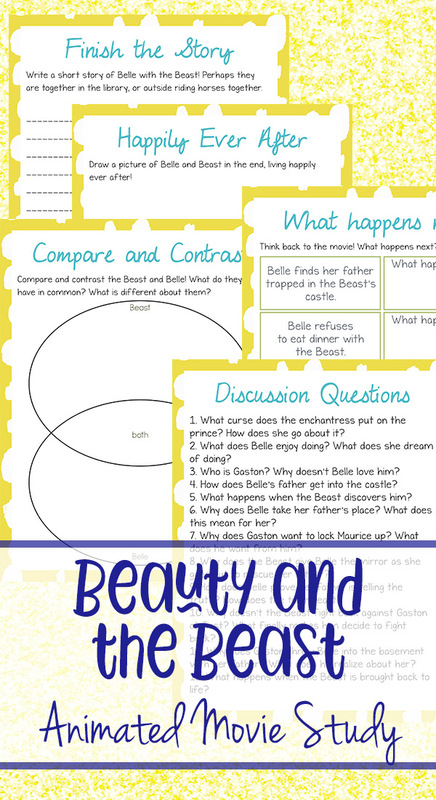 It is a fun way to help kids pay closer attention and really see the differences and similarities in two characters. There are three compare & contrast pages in this set. One compares two characters, one compares the book and the movie, and one compares the animated and live versions! These pages could be a pre-cursor to a descriptive or an expository essay. 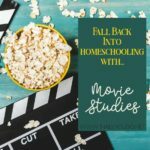 This is a fun exercise for kids and helps them learn to concentrate on the movie a little more. It is also a great way to help kids with their retention and writing as well. 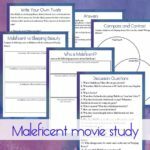 This page encourages kids to write “what happens next” in their own words after reading the scene or prompt. Do your kids love to draw and color? 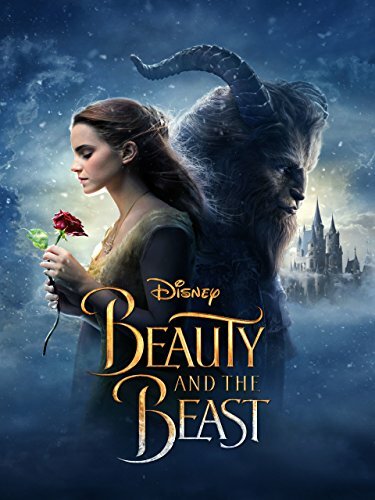 Have them try their drawing skills by creating a picture of Belle and the Beast as they live happily ever after at the end of the story. 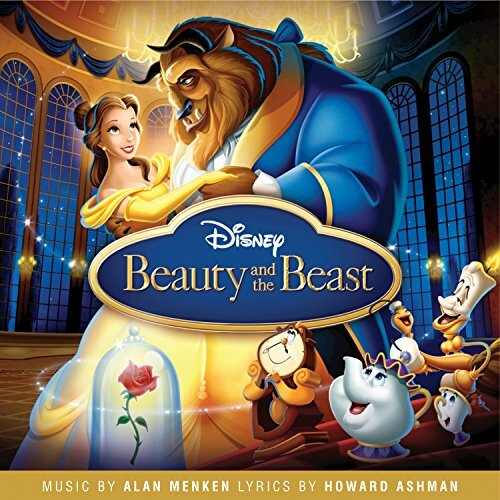 This can be right at the end of the movie, after Belle comes back to the castle and saves the Beast, at their wedding in the future or after they have kids. Let them explore their creative side and draw away! Let their creative juices flow by giving them permission to finish the story. They can expand on a scene from the movie or create their own based on actions from the movie. Use this printable page or let them write on their own paper. The important part for this page is just to let them write! 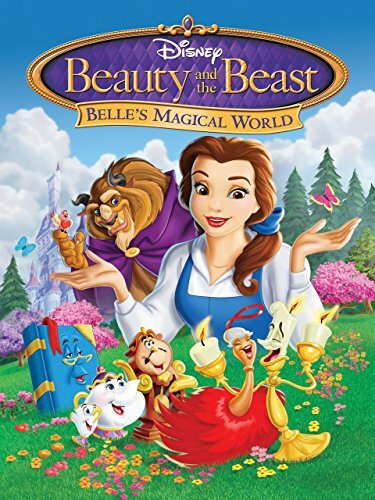 Since this is one of our favorite movies, I decided to make a day of it with my girls and have a fun watch party. You could totally turn this in to a high tea event with your daughters’ friends. Or make it a one-of-a-kind birthday event for the girls in your home. However you choose to celebrate, the point is to enjoy your time together! I can’t believe how many fun and delicious treats I found! Here are a few of my favorites! 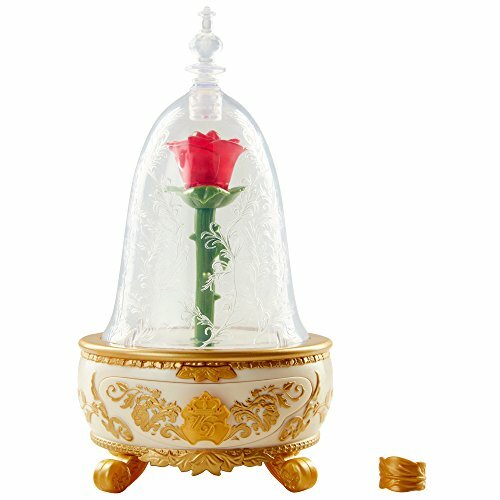 Beauty and the Beast is one of my all-time favorite animated movies. 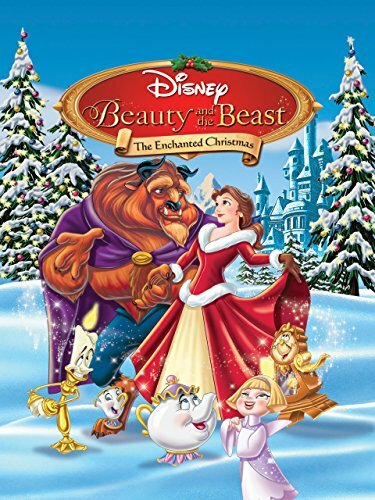 I love both the animated and the live-action versions of this movie. 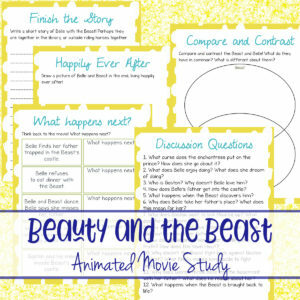 If your kids love the animated version, they are sure to love this movie study too! They look so fun!! I can’t wait to try them with my kids!